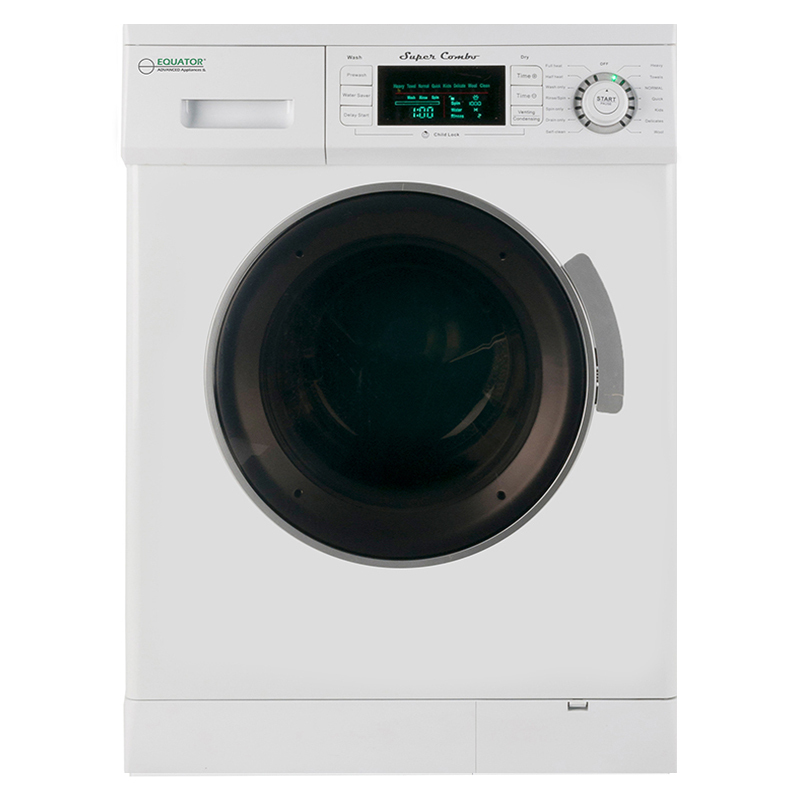 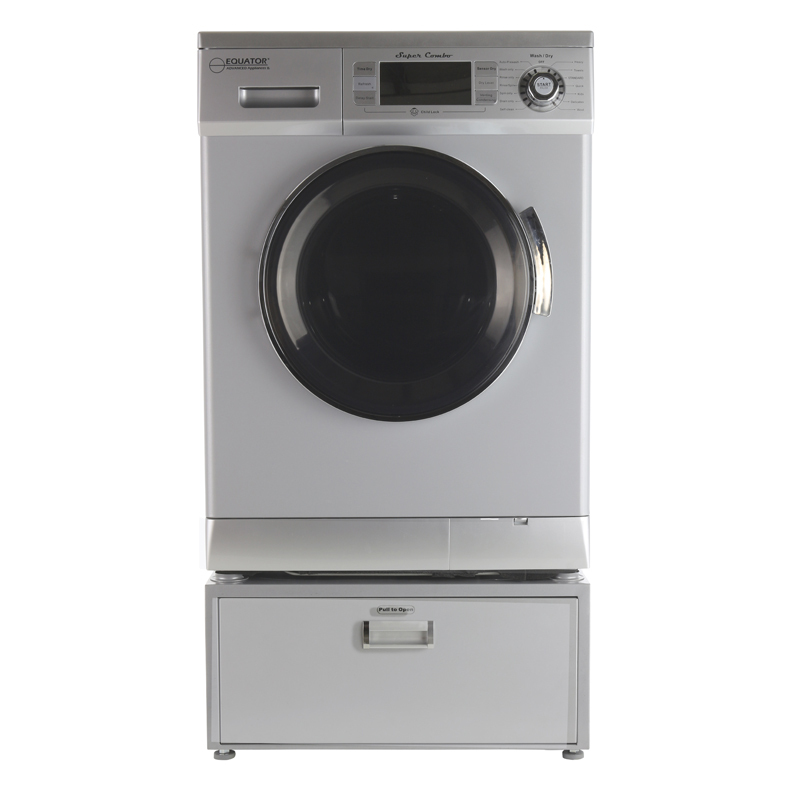 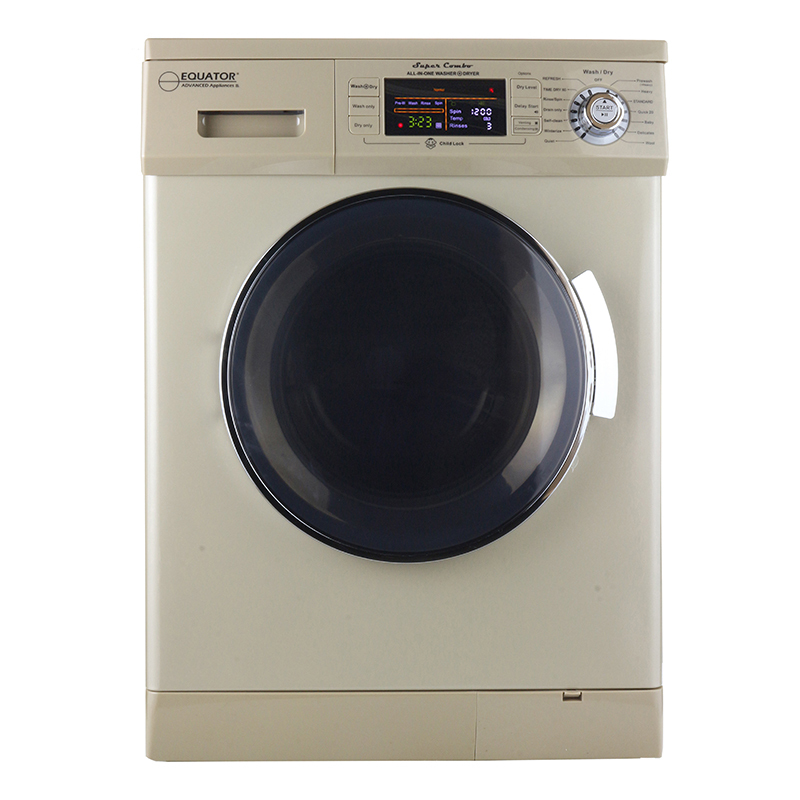 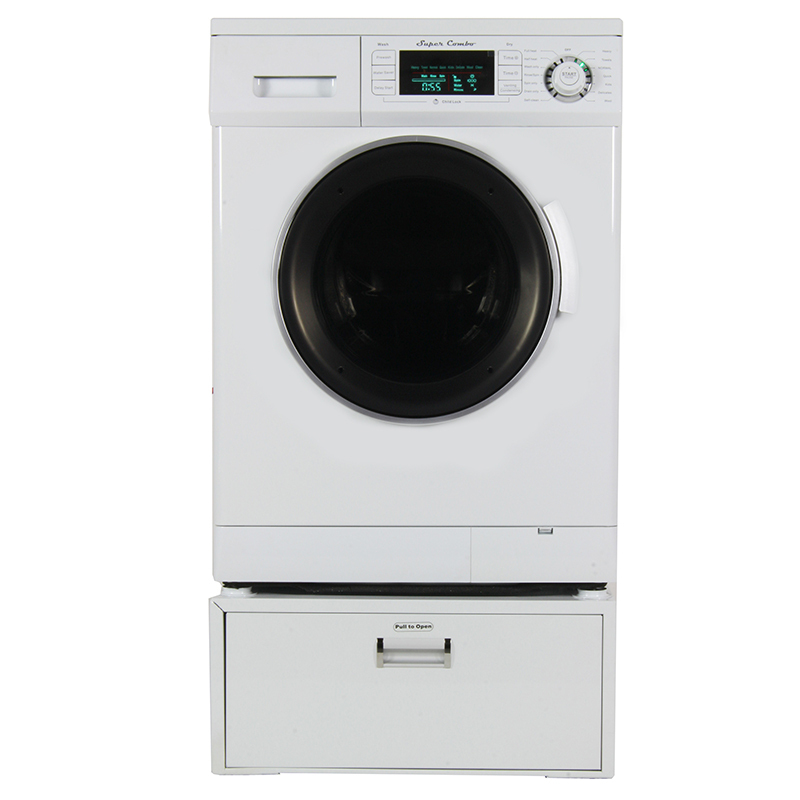 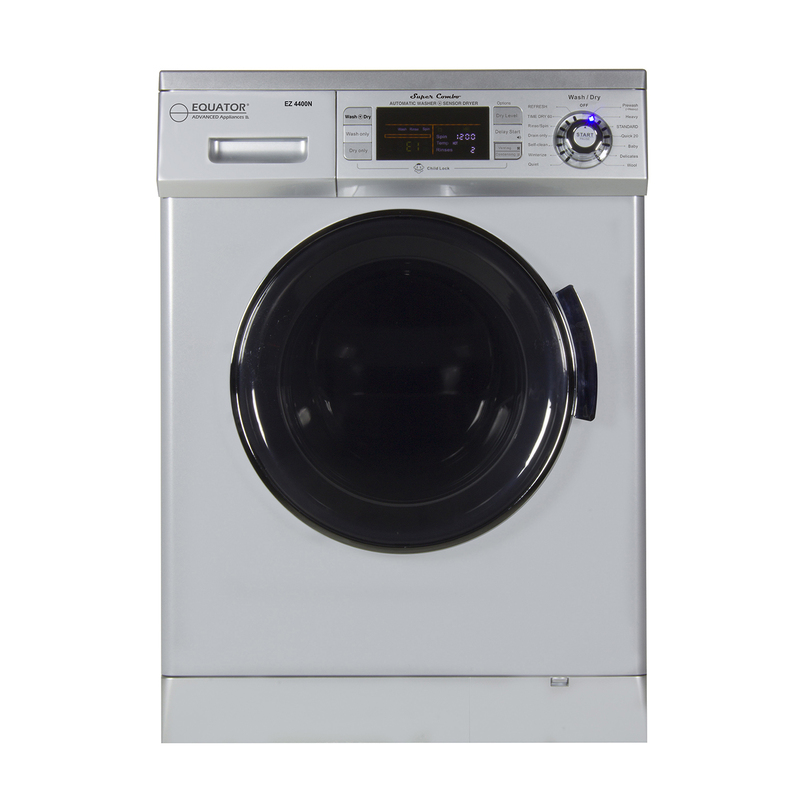 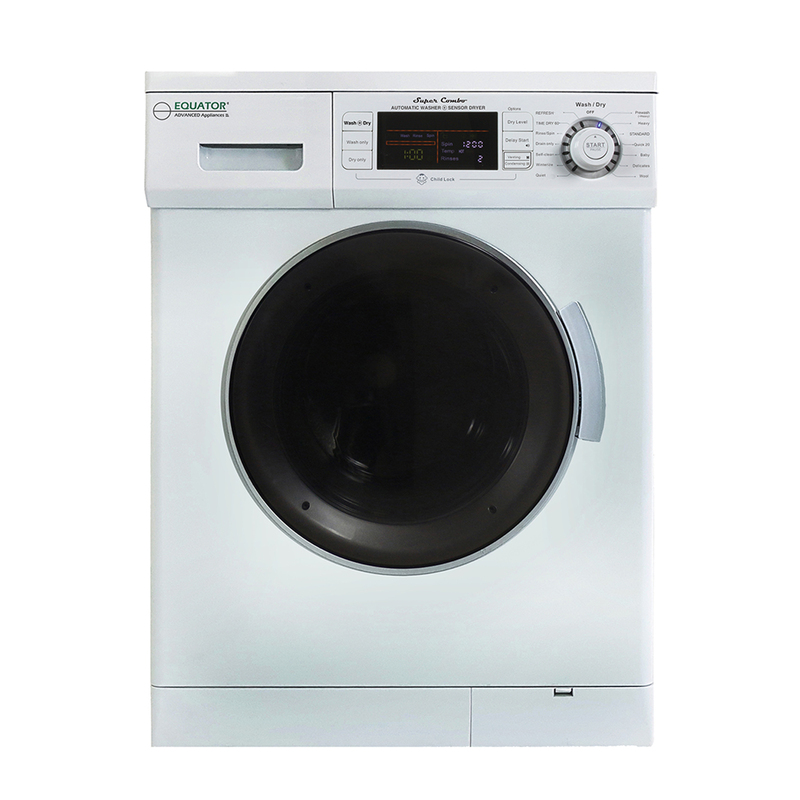 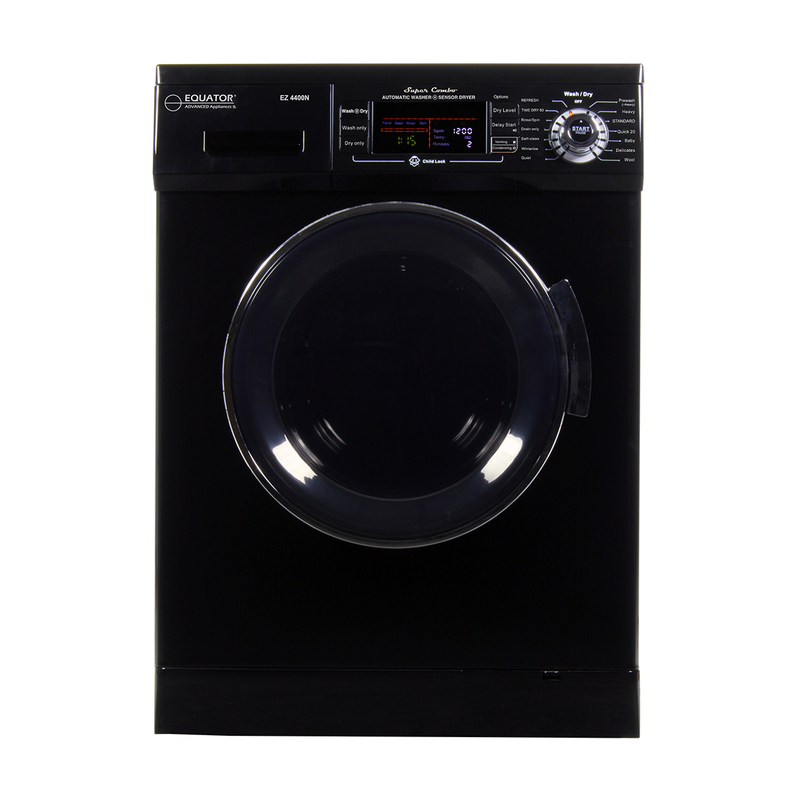 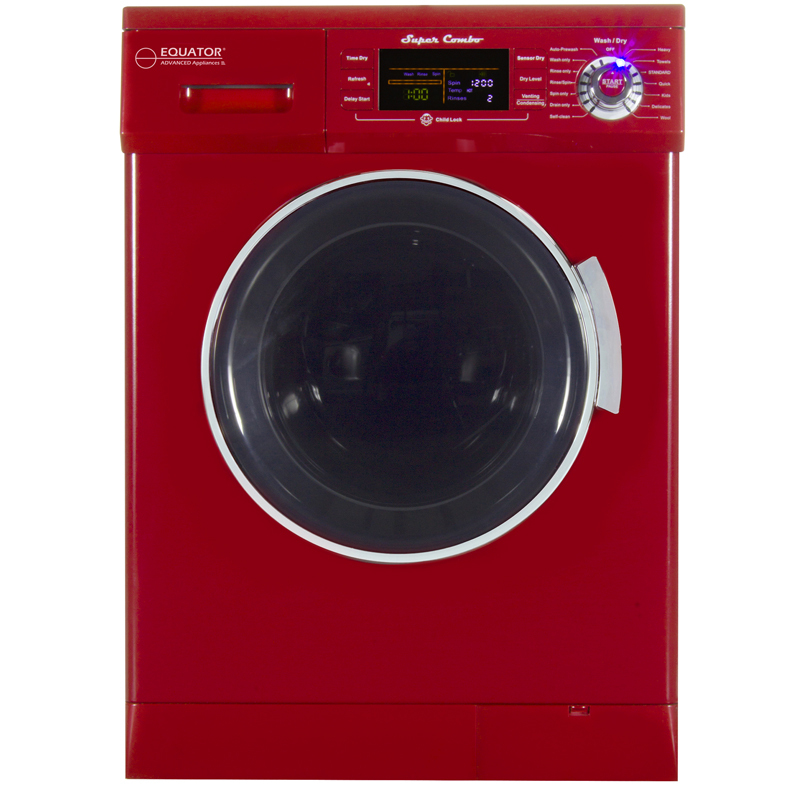 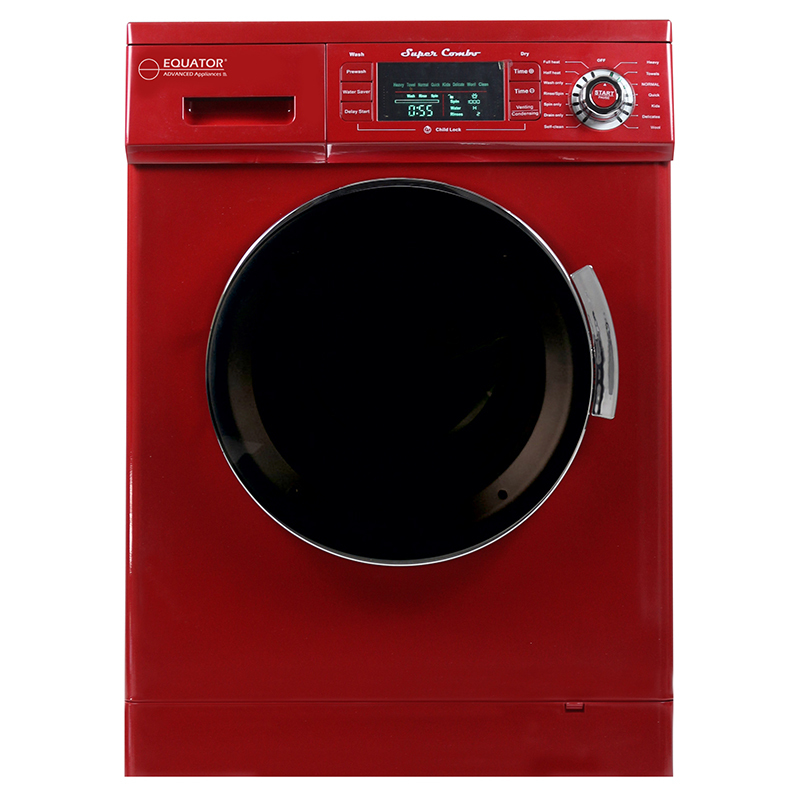 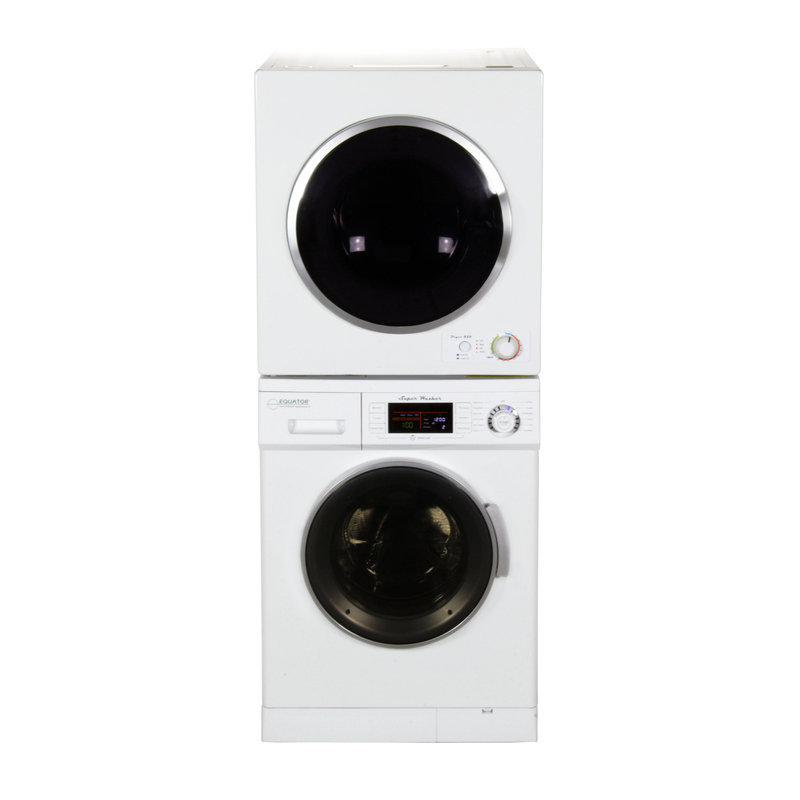 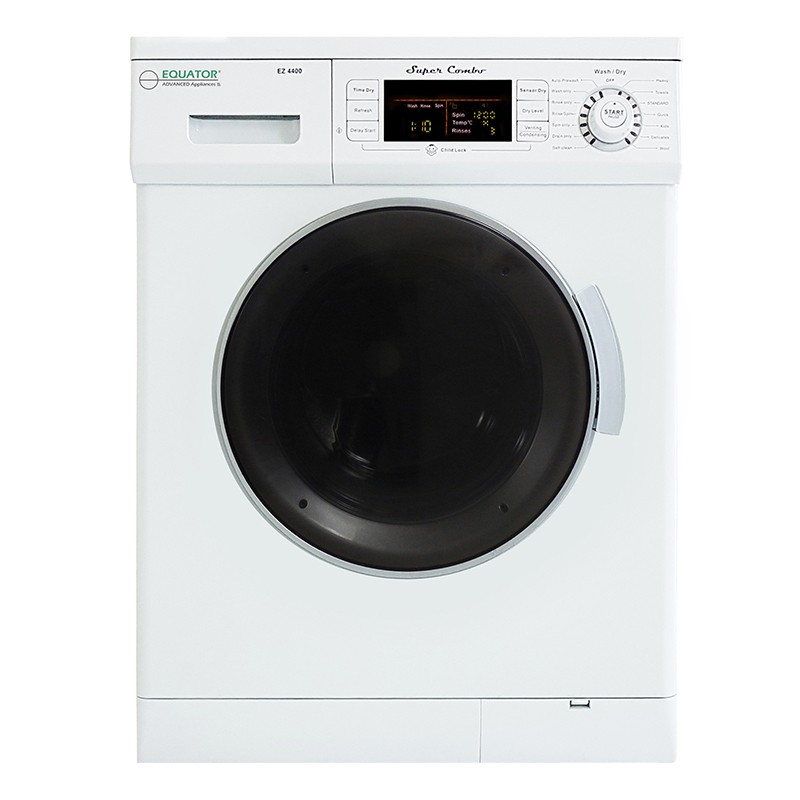 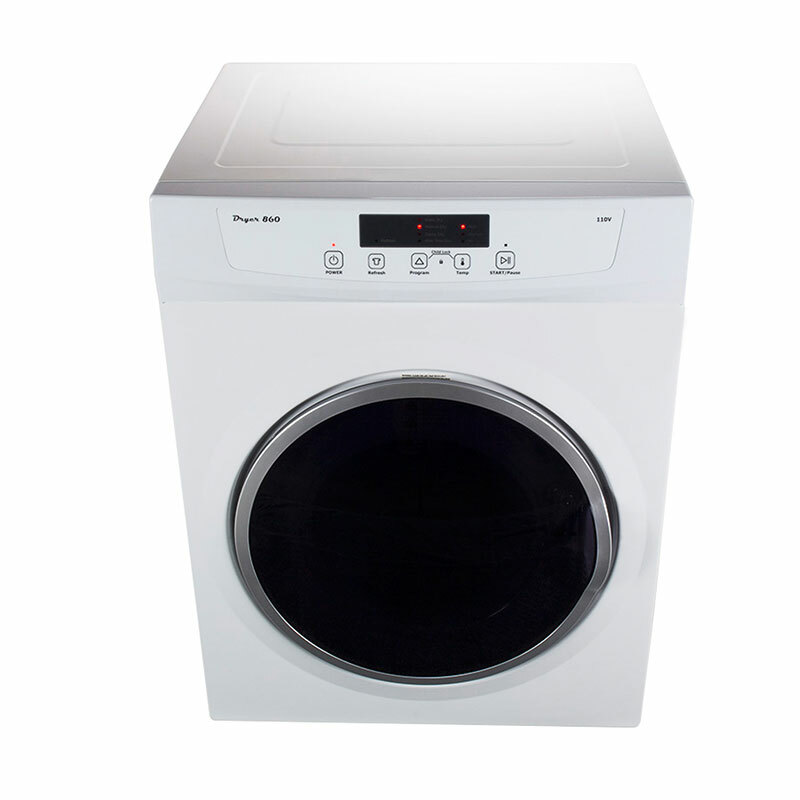 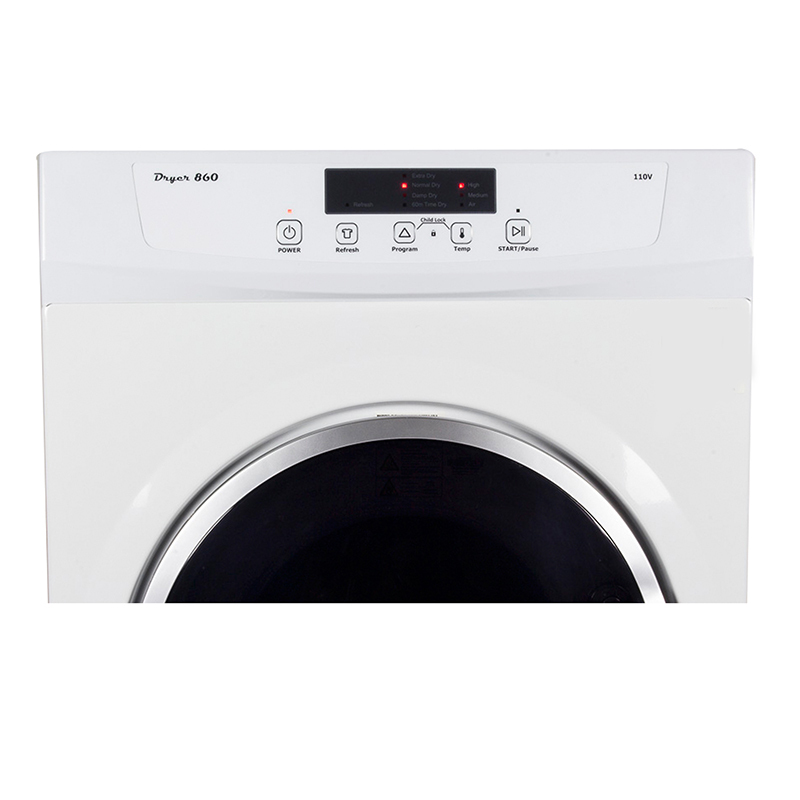 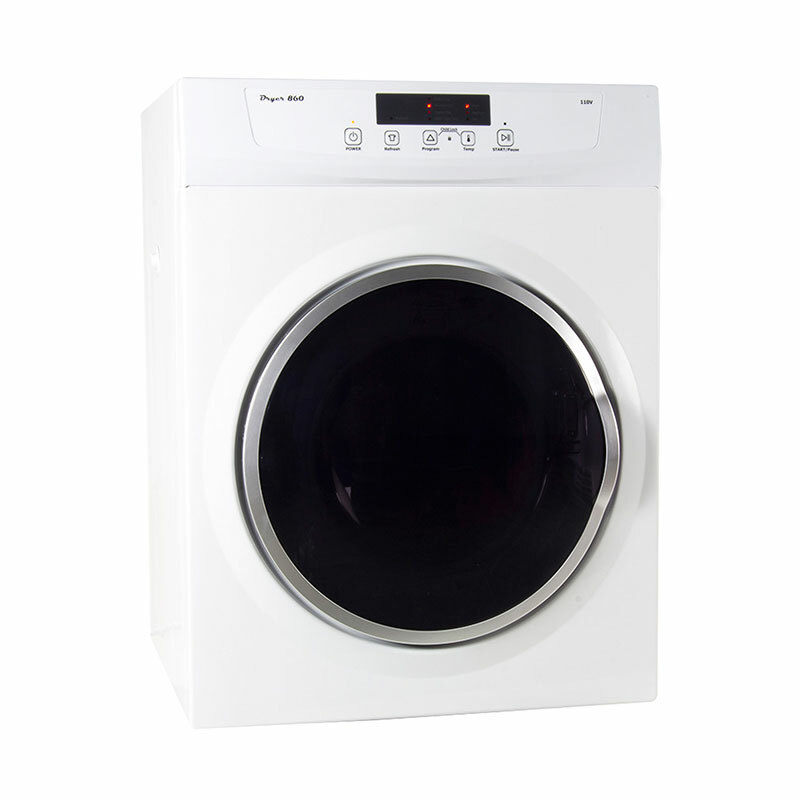 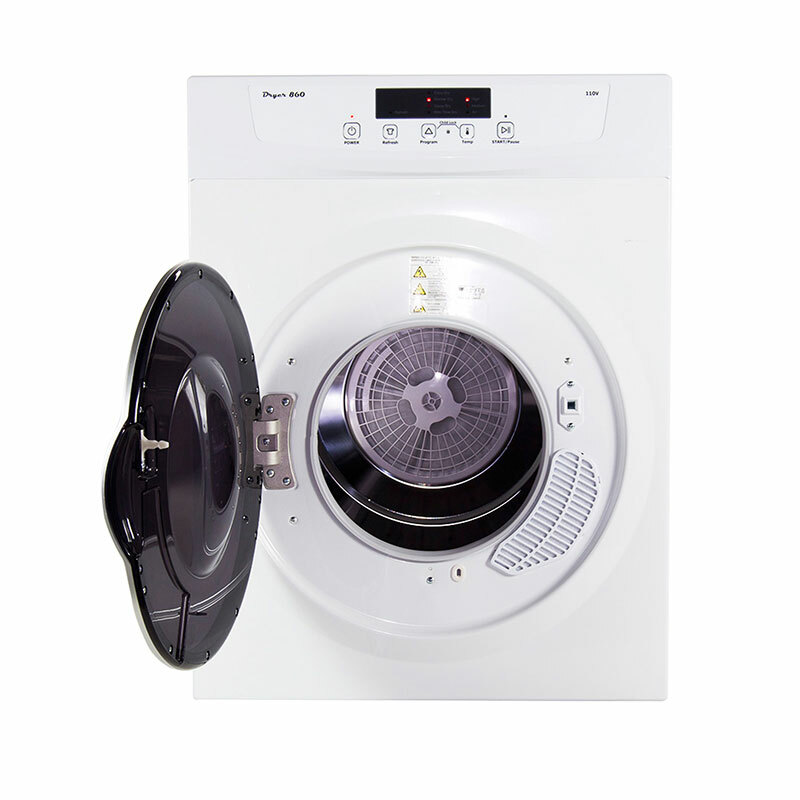 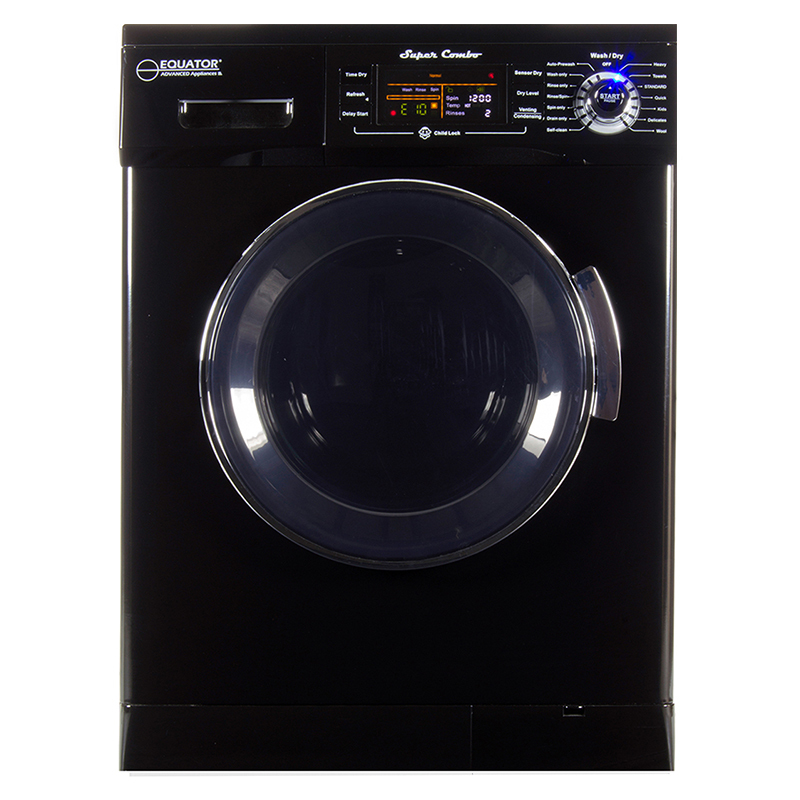 If energy-saving drying efficiency had a name, it would be Equator’s Dryer 860. 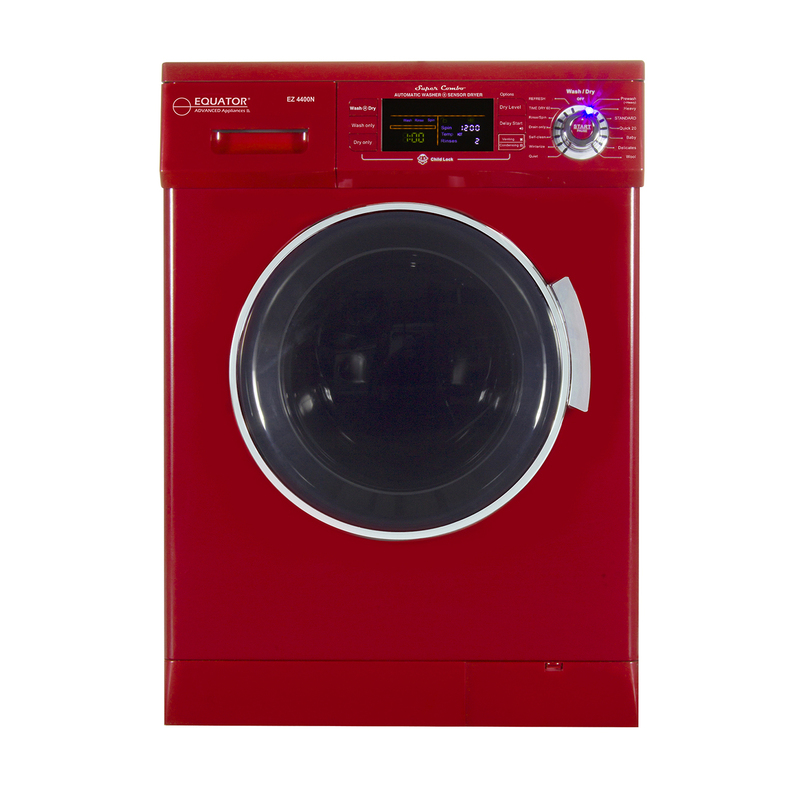 The compact, innovative design keeps you and your way of life at the forefront of what it does best -- ensuring that your clothes are always at the perfect level of dry. 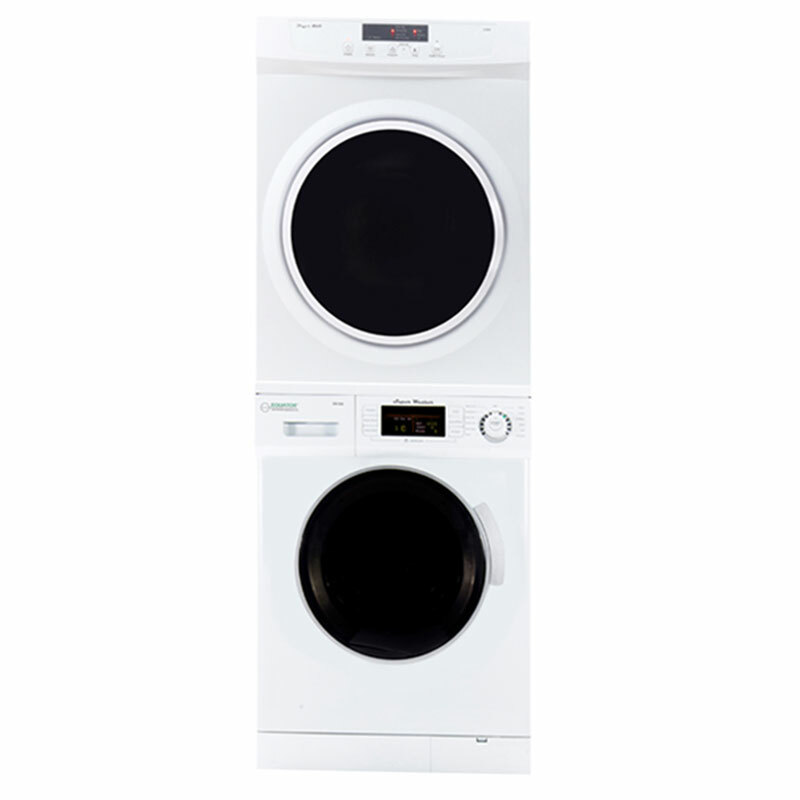 Tired of constantly rearranging your home to try to fit bulky appliances into a small space? 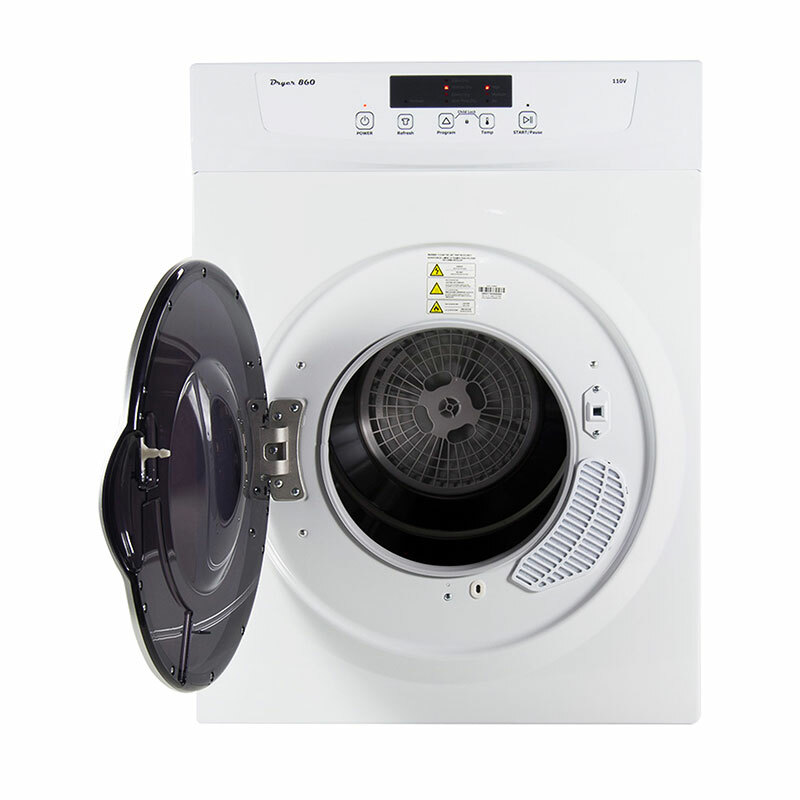 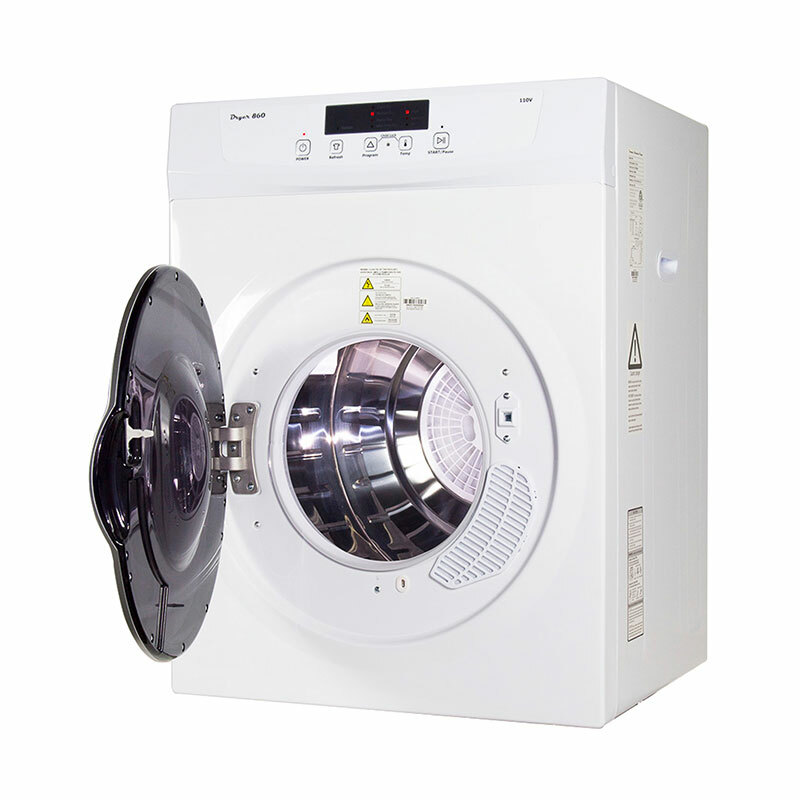 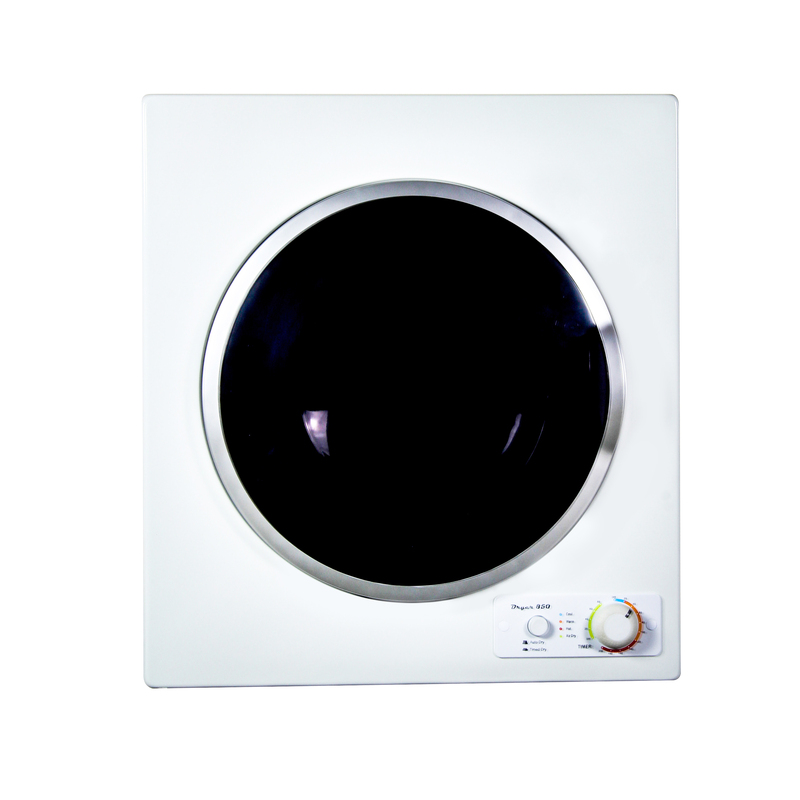 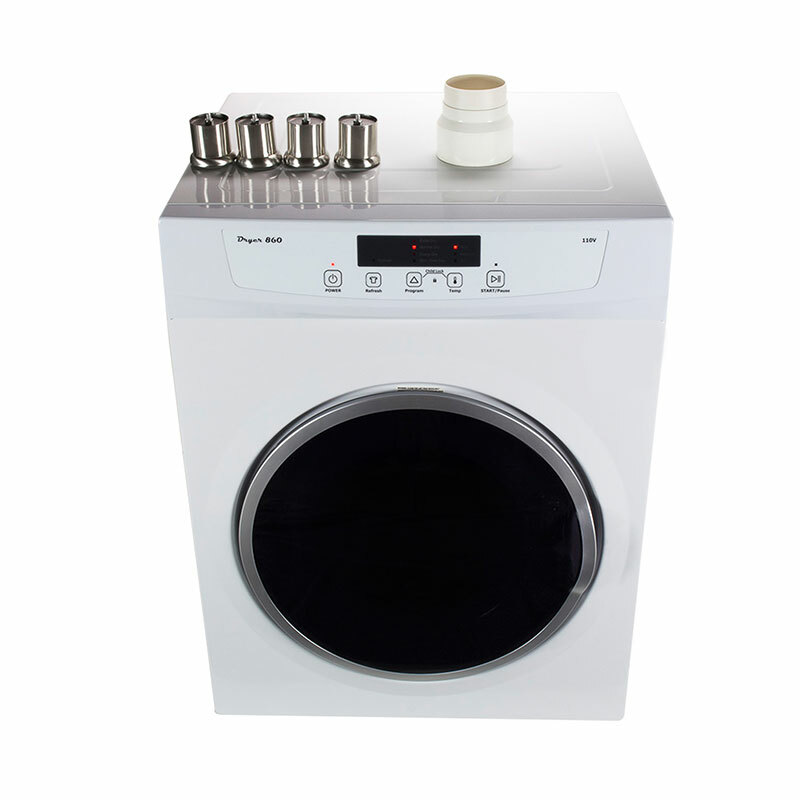 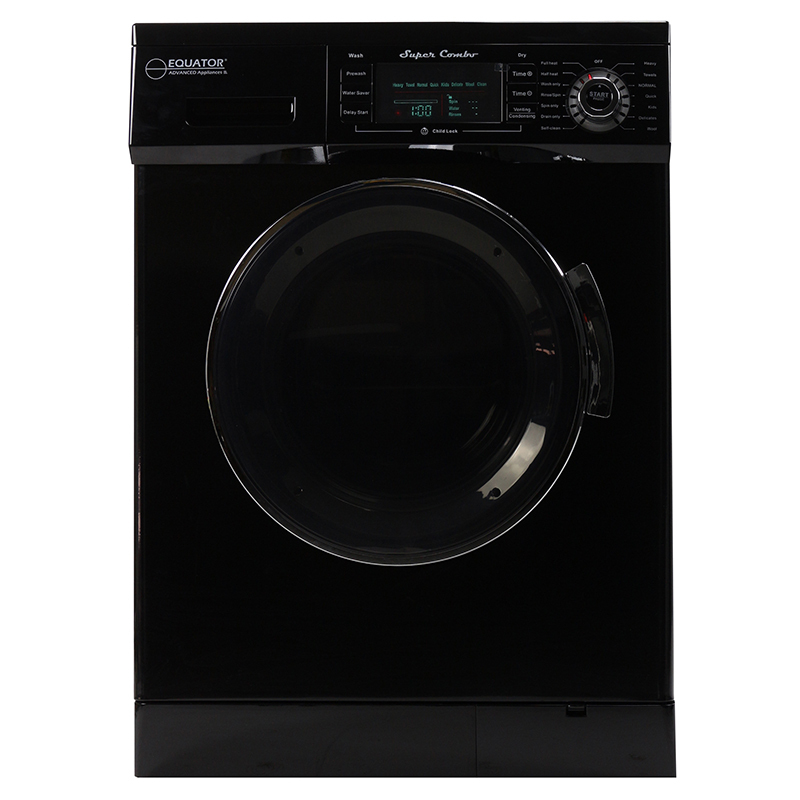 At only 32.3 x 23.6 x 22.3 inches (HxWxD), this compact dryer unit fits easily into your home and your life. 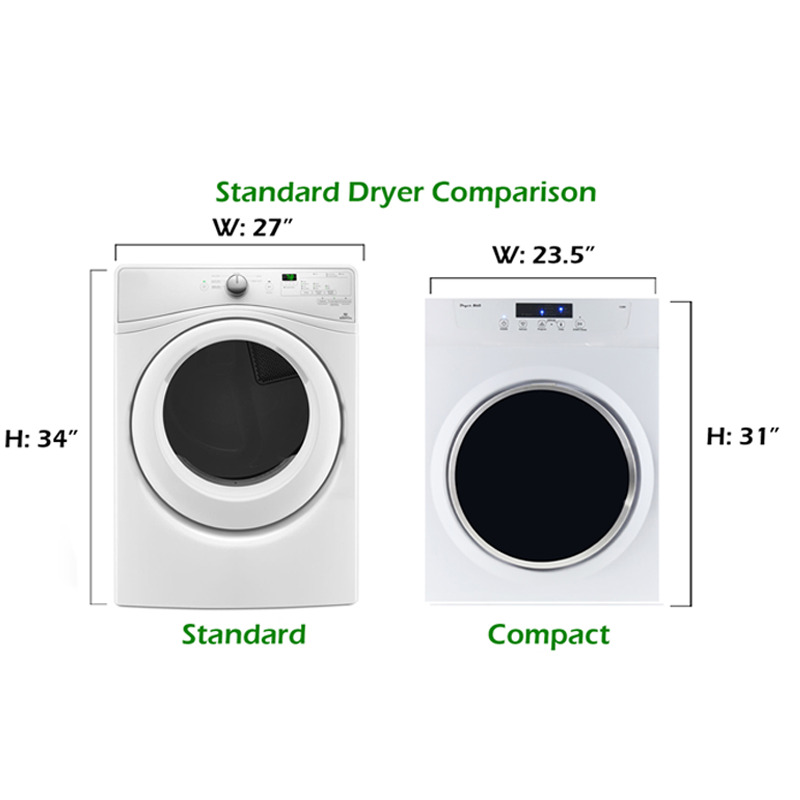 The compact venting dryer boasts a variety of features seen in its larger counterparts. 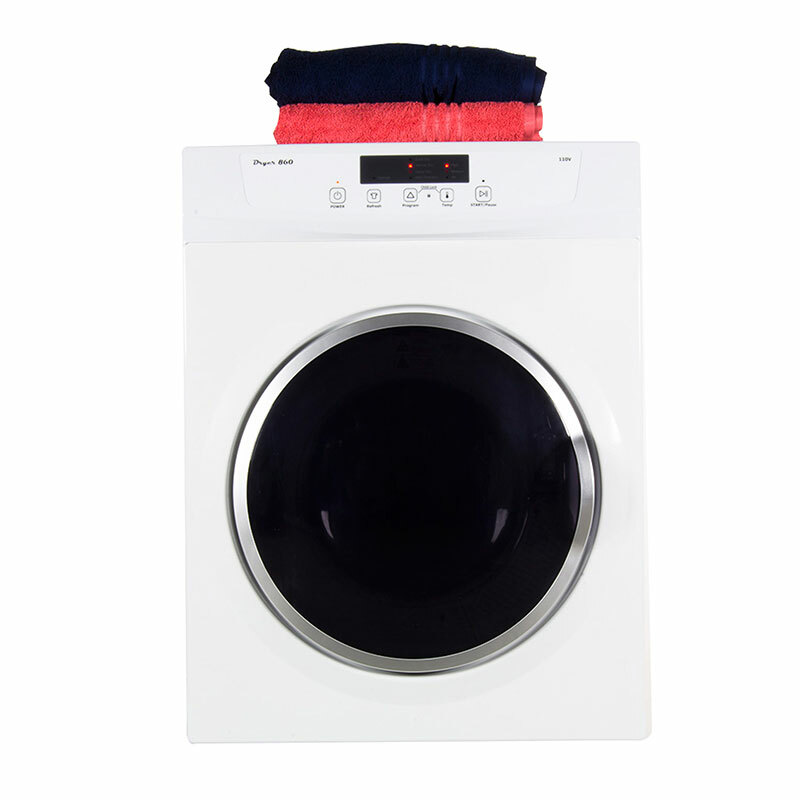 For a fraction of the size, your dryer will pause on command, protect against wrinkles, and provide an added child lock protection. 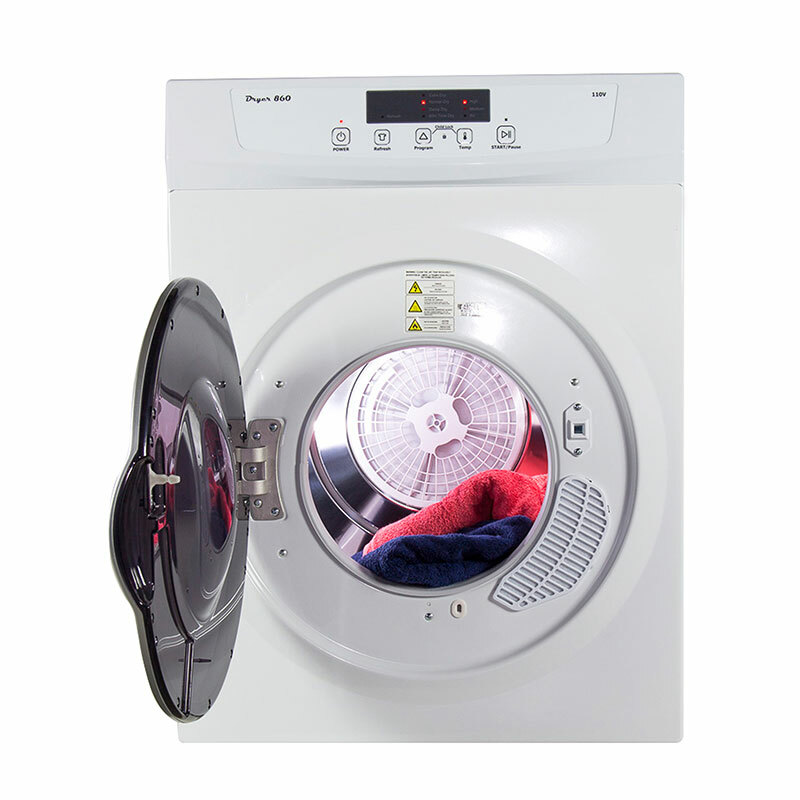 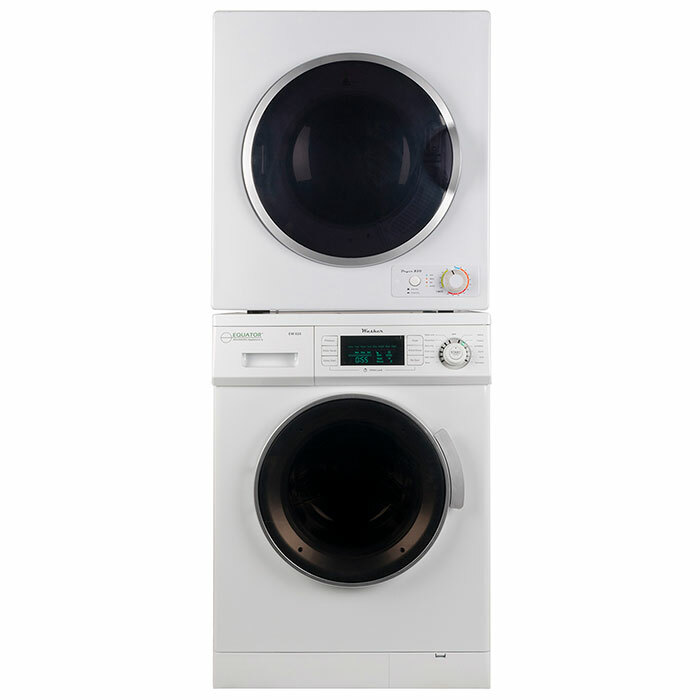 The dryer can be easily raised up to 2.25 inches to match your washer’s height. 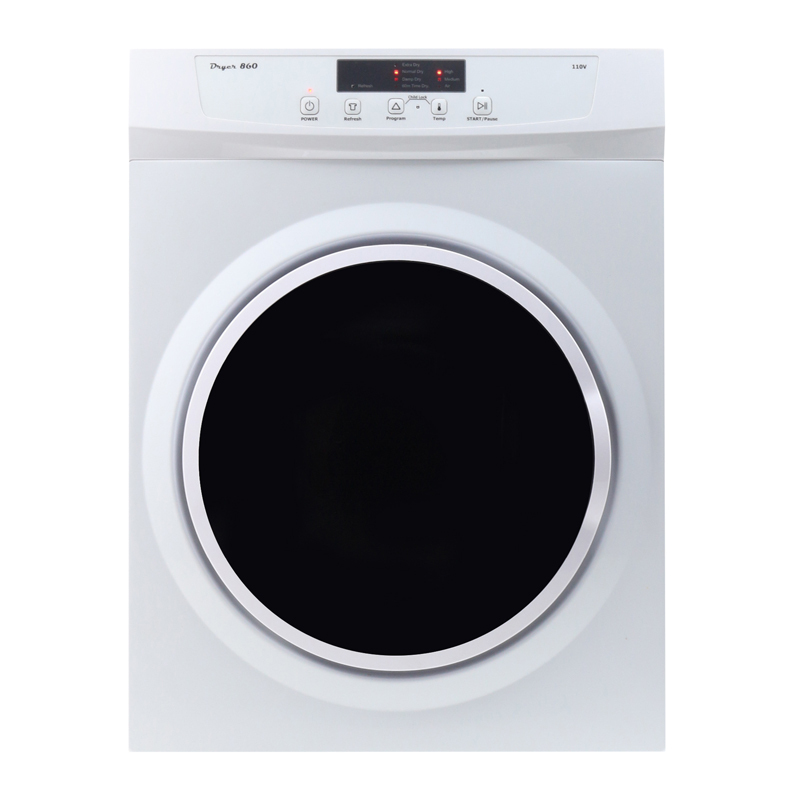 Your clothing is as unique as you. 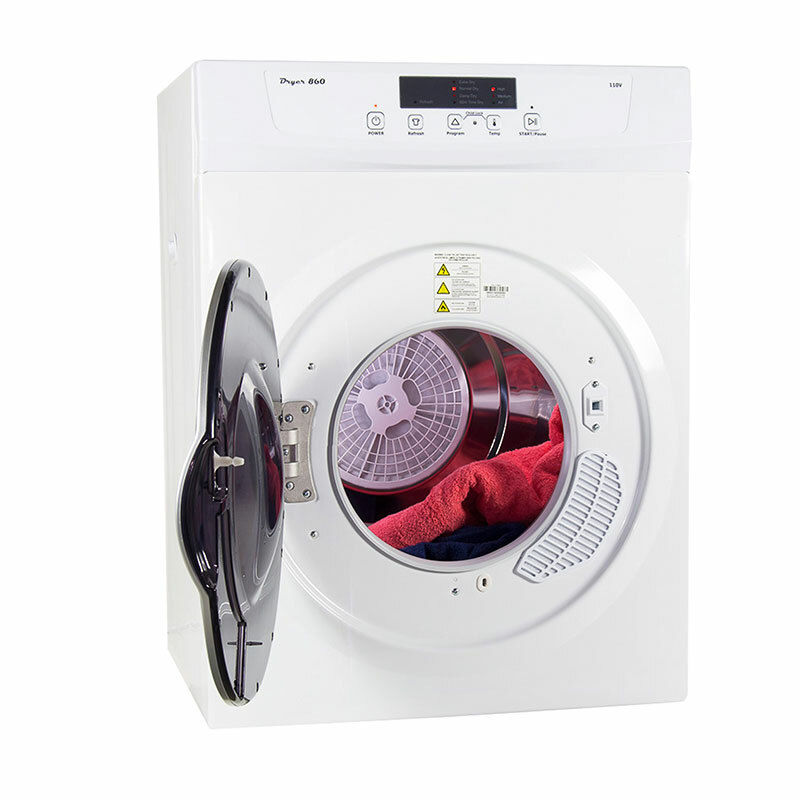 To protect your wardrobe, we’ve designed our machine with 3 programmable levels of sensor drying: Extra Dry, Normal Dry, and Damp Dry.